Who doesn’t like potato chips? They’re comfort food at it’s best. There was that old slogan, “bet you can’t eat just one.” Which is so true because they’re totally addictive. 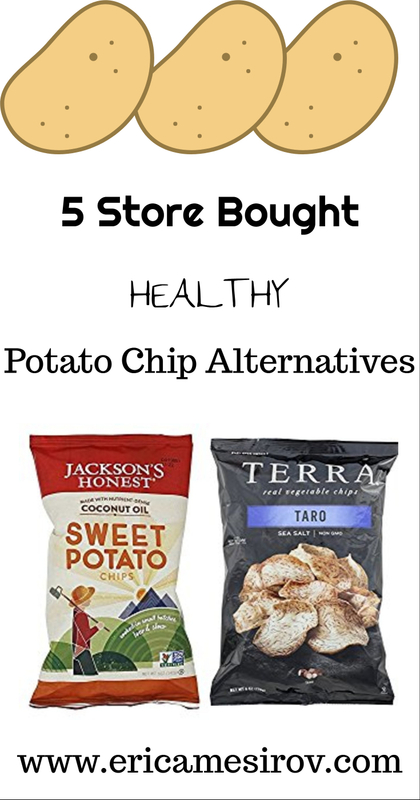 So today I’m going to talk about some better, healthier, potato chip options. Now don’t get me wrong. A potato chip will never be “health food”. But there’s room for indulging in any nourishing diet. And these chips offer so much more than the conventional chip. So here are my options for better chips. They don’t all contain potato, but they all satisfy like a potato chip. Get them for the next time you just can’t go without your crunchy or salty favorite! First, sweet potatoes are lower glycemic than regular potatoes. That means that they’re less disruptive to blood sugar. Which is good because you want to keep blood sugar as stable as possible. Second, they’re made with coconut oil. Most conventional potato chips are made with vegetable oils which become very toxic at high temperature. Coconut oil can be heated to higher levels, which makes it a better cooking oil. So here’s an example of a classic potato chip that can be made healthier. The secret is that it’s made with avocado and sea salt. The avocado oil is really what makes them better. Avocado oil is a great cooking oil. As just mentioned, the vegetable oils used in most chips are not appropriate for cooking at high temperatures. But avocado oil has a very high smoke point. What that means is that it can be heated to relatively high temperatures before it starts to burn and become toxic. Additional, these are made with sea salt as opposed to table salt. Now, don’t get me wrong. You don’t want to over-indulge in any kind of salt. But the advantage to sea salt is that it offers minerals like potassium and magnesium that you won’t find in table salt. Have you tried taro? While it isn’t so commonly used in the U.S., it’s very popular in other countries. And part of what makes it so popular is it’s naturally sweet, slightly nutty flavor. Plus, taro is healthier to heat at high temperatures than potato. 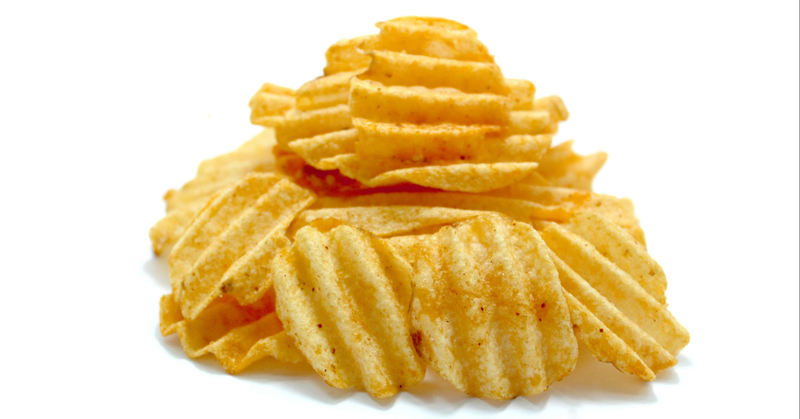 Potato forms high levels of something called acrylamide when heated to high temperatures. Acrylamide is toxic, which is a significant reason that heated potatoes are so unhealthy. Taro forms acrylamide when heated as well. But it does so at significantly lower levels. Which makes these chips a better for you option. Cassava root (yuca) is another root that you don’t see quite as often in the U.S. But these will be better for you than conventional varieties. And here’s why. Cassava root is, just like other options discussed, lower glycemic than potato. But it’s benefits don’t end there. There is some evidence that cassava root goes actually helps regulate blood sugar. So this is a much better option if you’re worried about being pre-diabetic, or struggle with your weight. If you’ve never tried these before, you might be put off by the idea of black beans. Black beans aren’t usually crunchy. But these are highly addictive. The main ingredients of black beans and rice have two advantages. First, they’re quite a bit higher in fiber than the conventional variety. The regular potato chips tend to have only 1 gram of fiber. These have 5 grams. Which is great since most of us are lacking fiber in our diets. Second, these are the way to go if you want to avoid acrylamide. Rice and beans only form a tiny amount of acrylamide when heated. Making these a great option for those trying to limit their exposure. Here’s the bottom line. All these options are better and healthier than conventional chips. But you still need to indulge in moderation. Eating too much of any of these will lead to lots of empty calories. And potential weight gain. But as I said in the beginning, there’s room for fun foods in any healthy diet. And if chips are your true love, these options are totally the way to go! I love these ideas!! I am a huge potato chip van so having a list of healthy alternatives really helps me in living a healthy lifestyle! chips & french fries are both downfalls of mine – all these options look good but I think i’m gonna try the Terra ones – i’ve heard such great things about that brand! Potato chips are hard for me to resist, so I try not to keep them in the pantry too often because they don’t last long! I’d love to try some of this healthier alternatives. I’ll have to keep my eye out when shopping in various stores. I love these options. Taro chips is one of my favorite snacks. Thanks for sharing. I must try the kettle cooked ones! I love avocado and kettle cooked chips so this should do the trick for me! I’ll have to find these chips the next time I go to the store. I always look for a healthier options for a snack. Awesome! When I work late into the night, I always have a bag of chips with me. These ones are healthier options and I am going to switch to these. I will look for them the next time I do my grocery shopping. Cracking up here, Erica, because I just bought a bag of Ruffles–first since last summer. And you’re right, it was a total craving. I don’t like kettle chips, but I love the black bean ones and will give the taro chips another go. Just in time for summer.